I recently found a National Film Board of Canada film called, “The Days of Whisky Gap”. 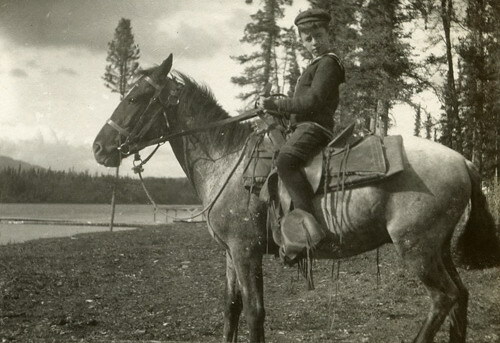 It is a 21-minute film, produced in 1961, with rousing tales of the North West Mounted Police brought to life through photos and artist sketches. 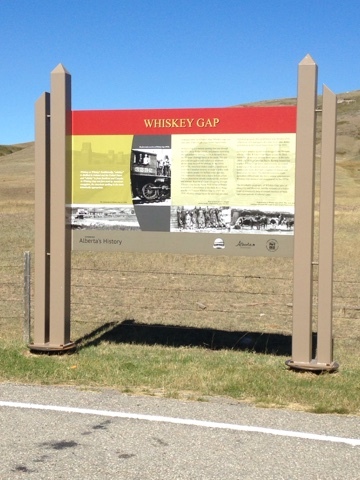 Note the spelling of “whisky” in the film, and the “e” was added to “whiskey” for the now deserted town of Whiskey Gap. The film compares the differences between the settling of the west between Canada (the Northwest Territories) and our friends south of the border. Of note in the film is an interview of then retired Commissioner S.T. Wood at Fort Walsh. Ever the Mounted Policeman, he is wearing an RCMP Stetson, minus the hat band. I have seen many photographs of him, with that stern countenance, but never heard him actually speak prior to viewing this film. 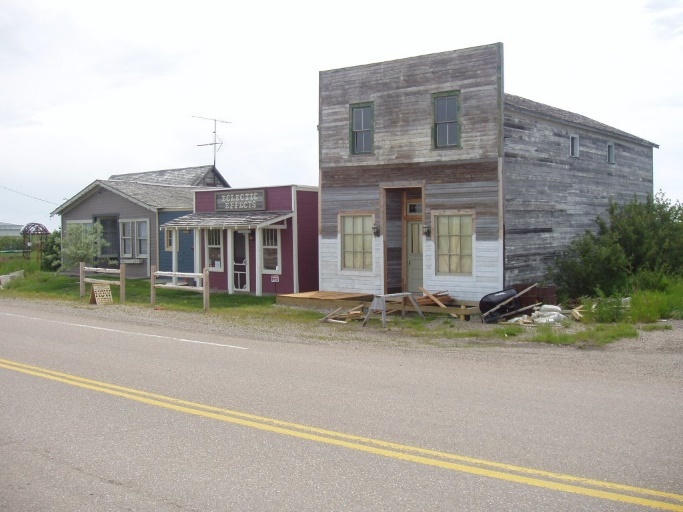 Whiskey Gap is a ghost town in southern Alberta. It is located approximately 80 km (50 mi) south of Lethbridge on Highway 501. This area of Alberta has seen successive waves of smuggling and it is believed that Whiskey Gap derived its name from this trade. Through the 1860s and 1870s, American traders crossed the border into Canadian territory to supply whiskey trading posts and to trade alcohol for buffalo robes and furs. Smugglers likely used this gap in the ridge to gain access beyond the plateau. Reports of liquor smuggling in the area led the North West Mounted Police to establish a detachment in the Milk River Ridge by 1877 and one in Whiskey Gap itself by 1907. Alcohol smuggling into Canada picked up again when Alberta introduced prohibition (1916-1924), and the flow of illegal booze was reversed during prohibition in the United States (1919-1933). “I found the film fascinating. This video, from 1961, personalized the early days of the NWMP through interviews with old timers from that time while at the same time telling the story through a wistful and romantic lens. Included in that video was an interview and footage of retired Commissioner S.T. Wood, himself a historic figure in Force history, serving as Commissioner from 1938 to 1951. He passed on in 1966. I met Commissioner Wood at Fort Walsh in 1964. My dad was accompanying the S/Div OC on a detachment inspection tour and had brought me along. Fort Walsh was still a working ranch at that time, responsible for breeding those unique black horses for equitation training and the Musical Ride. We spent the night in “quarters” at Fort Walsh and I stayed behind at the Fort under the general supervision of Commissioner Wood (and the staff working there) while my dad and OC went about their tours. A big and gentle palomino named King was saddled up for me and I was left to wander around the foothills (having to stay in line of sight I’m sure) on horseback. In my mind I was walking and riding in the footsteps of history, Insp. Walsh and Sitting Bull. 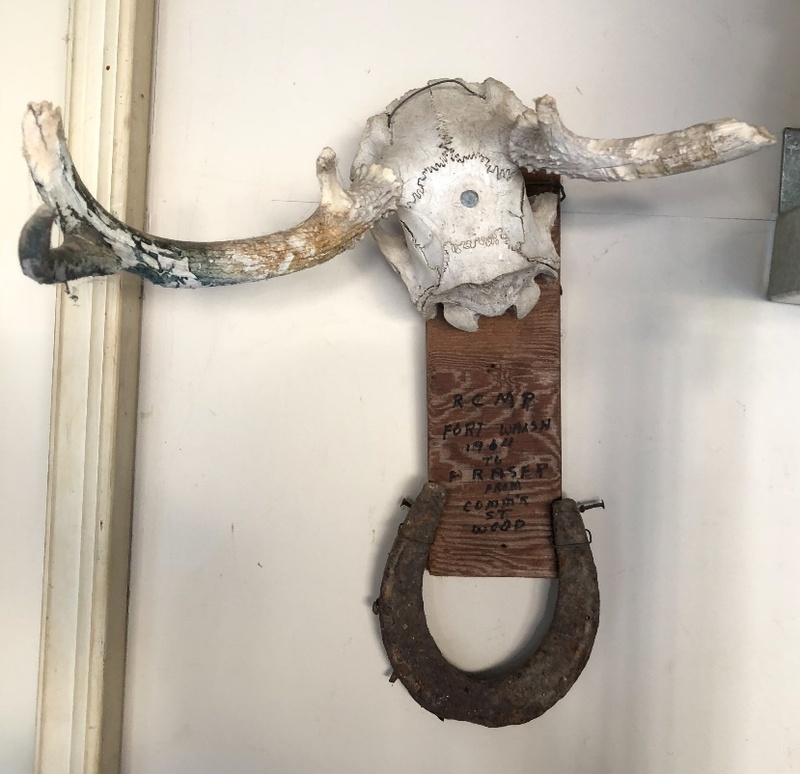 The picture below is a deer skull I found on the prairie and an old horseshoe. My dad mounted them and inscribed the date and circumstance. You can readily see that he didn’t spend a lot of time on it. It has survived till this day and is hanging in my garage. Even at that tender age (in 1964 I would have been 8 years old), as a young boy infatuated with the Force and its history, meeting Commissioner Wood put me in awe and remains a most unique and treasured memory. I have included information below from the Parks Canada website regarding the history of Fort Walsh as the Remount Ranch for the RCMP. After Fort Walsh closed in 1883 the area where the fort stood became part of the David Wood and Wellington Anderson ranch yard. 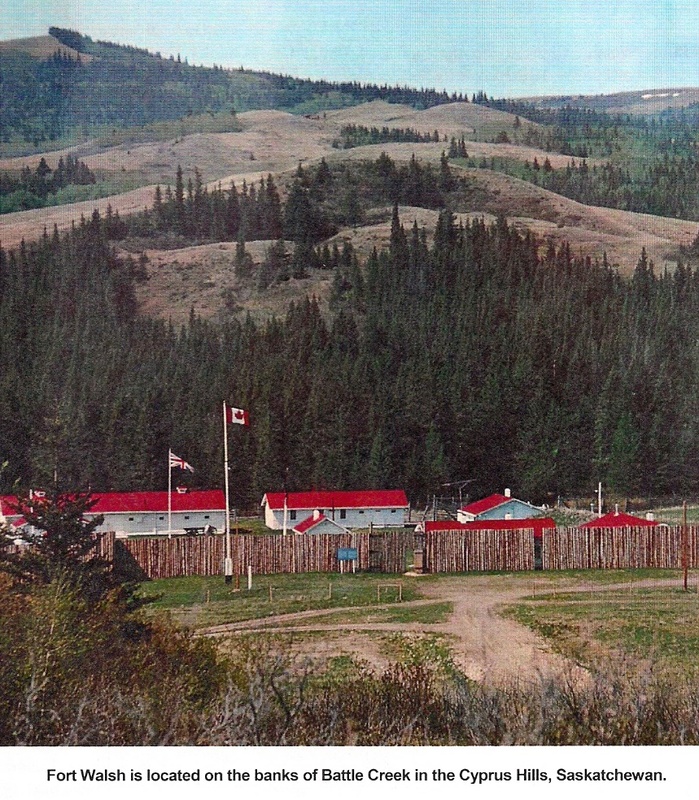 Many ranches would establish in the Cypress Hills during and immediately after the days of Fort Walsh. Many of these ranchers were ex-North West Mounted Policemen. Cattle and horse ranching is still the leading economic activity in the Cypress Hills area, and ranching remains one of the most significant cultural identities in the area. 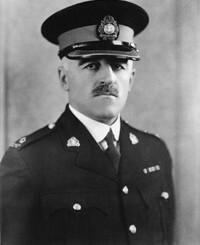 In 1937 Assistant Commissioner S.T. Wood was part of the R.C.M.P. contingent which participated in the coronation of the current Queen’s father, King George VI. Wood was so impressed by the Lifeguards of The Household Cavalry dressed in scarlet tunics and mounted on uniform black horses that he resolved the R.C.M.P. should also being as distinctively mounted. In 1938 Wood became Commissioner of the R.C.M.P. and within a year all the horses which were acquired by the R.C.M.P. were required to be black. This greatly limited the number of horses available to Force through sale, and it soon became apparent that the R.C.M.P. would have to raise their own herd of black horses. With limited space available for such an effort at Depot in Regina, the Commissioner started to investigate the purchase of ranch. Commissioner Wood possessed an avid interest in the history of the Force, and had particular interest in the site of the Force’s old headquarters at Fort Walsh in the Cypress Hills. Wood also felt the rugged terrain of the Cypress Hills would also help raise hearty and well-muscled horses. In 1942 the R.C.M.P. entered into negotiations with rancher Frank Nuttall which resulted in the R.C.M.P. re-acquiring the site of old Fort Walsh. The next year the R.C.M.P. Remount Ranch at Fort Walsh was under construction. 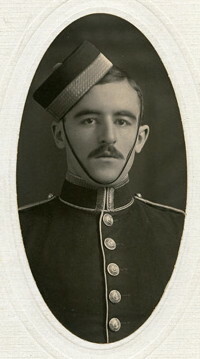 It was left to Special Constable Barney Montour, under the supervision of Sergeant David Fleming, to reconstruct Fort Walsh. The R.C.M.P. studied period photographs and drawings of old Fort Walsh, and conducted interviews with N.W.M.P. veterans who had served at Fort Walsh, so that they had a very good idea how the old fort looked when construction began. New log buildings were carefully constructed over the still-visible outlines of the old, but the new buildings were made either somewhat larger or smaller so that the underlying archaeological resources would be disturbed as little as possible. The R.C.M.P. Remount Ranch at Fort Walsh then started the process of raising the large black horses which have become an integral part of the R.C.M.P.’s internationally recognized image. A carefully monitored breeding program was implemented in a corral system behind the fort. Thoroughbred black stallions crossed with mare’s with strains heavy horses produced the desired offspring; horses with not only size and presence, but also beauty and grace. At Fort Walsh the horses were raised to three year olds, halter broken, and branded (later tattooed). Then they were driven to Maple Creek, loaded on the train and shipped to Depot in Regina (later the horses were shipped by semi-trailer). Depot was where these young horses were trained, and where in turn they would help to train the men. Fort Walsh horses were also used in the R.C.M.P. Musical Ride. Many of the horses in the Ride today can trace their ancestry to horses raised at Fort Walsh. One mare who served in the Musical Ride, Burmese, who was born at Fort Walsh in 1962, became a favourite of the R.C.M.P. and in 1969 was given to their Honourary Commissioner; Her Majesty Queen Elizabeth II, Queen of Canada. For nearly 20 years the Queen could be seen riding Burmese on state occasions. The presentation of a horse to Her Majesty has been a tradition of the R.C.M.P. ever since. In 1966, the R.C.M.P. discontinued mandatory recruit equitation training, so they no longer needed as many horses. Fort Walsh was once again decreed to be too far from everywhere else, and too cold. This ironically coincided with the death of Commissioner S. T. Wood (retired), who was an advocate of equitation training and who had saw to the establishment of the R.C.M.P. Remount Ranch at Fort Walsh. The site of the R.C.M.P. Remount Ranch at Fort Walsh and a portion of its lands were then transferred to Parks Canada in 1968, and the R.C.M.P. breeding program was moved to Packenham, Ontario. It is at Packenham that the Musical Ride horses are raised today. It is the Remount Ranch buildings which present-day Fort Walsh National Historic Site uses to commemorate the original fort. The buildings look virtually identical to the originals, they sit in the same locations, and many served the same purposes at the Remount Ranch as they would have at the old fort. Not all of the original buildings were reconstructed, however, since the Remount Ranch did not have use for as many facilities as the old fort needed. Thus only about half of the original fort has been reconstructed. The only thing Parks Canada has added to the Site is the palisade which surrounds the reconstructed buildings. The reconstructed palisade represents the exact size and shape of Fort Walsh’s 1881 palisade, and portrays Fort Walsh as large as it ever became. Most of the buildings are now refurbished to represent the 1880 period, and the animation and interpretation focuses on this very important time. However, the R.C.M.P. Remount Ranch is not forgotten, and a walk around Fort Walsh today reveals the same scenery and views that the R.C.M.P. enjoyed during the 1950s and 1960s. Thank you Fraser for sharing your boyhood memories!